Jones became a preacher in the 1950s and founded the People’s Temple first in Indianapolis and then San Francisco. 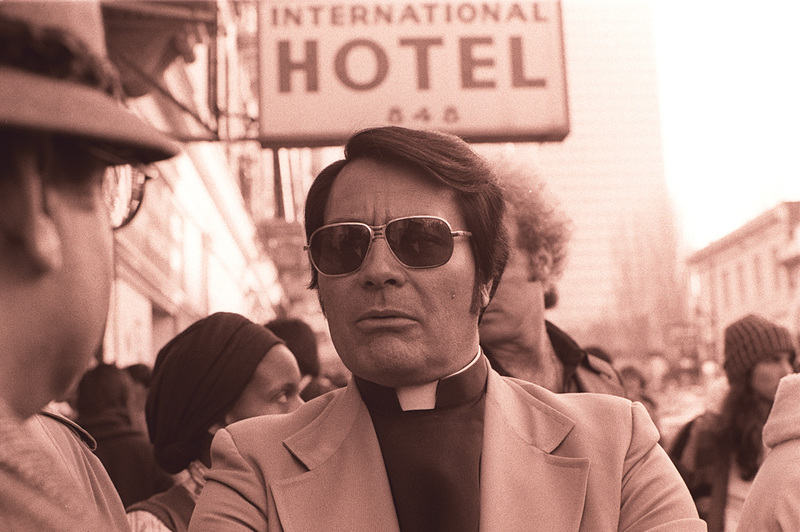 His devoted followers developed into a cult, and in 1977 moved with Jones to the jungle of Guyana, where they lived communally in a settlement dubbed Jonestown—with Jim Jones as their absolute leader. Friends and family of some of the cult members became concerned for the welfare of their loved ones, and, in November 1978, U.S. Representative Leo Ryan led a fact-finding mission to Jonestown to investigate charges of human rights abuses there. Ryan left the compound, with 20 Temple members, after an attempt on his life. At the local airstrip, however, cultists gunned down Ryan, an NBC reporter and cameraman, a newspaper photographer, and one of the defecting cultists. Others were wounded. Immediately after this attack, on November 18, 1978, most of the Peoples Temple cultists followed Jones in committing mass suicide by drinking poison (Jones shot himself). A total of 914 died.